The draw has been made for the 3rd round of the Iberian Championship to be hosted in Madrid this coming weekend. Both tournaments see 6 teams competing which means there will be two groups of 3 followed by semi-finals and finals. In both the men’s and the women’s competition, Valencia have been drawn against Barcelona and Madrid O’Donnells in the group stages. The men will be looking to avenge an extra-time defeat at the hands of the Gaels in last month’s final in Barcelona while the women too will renew an ever-growing rivalry with the Gaelettes. On the other side of the draw, hosts Madrid Harps will battle against Seville and A Coruña with the top 2 teams in each groups advancing to the semi-finals while the 3rd place teams will play-off for 5th and 6th. With both championships so close this year, round 3 marks a vital point in the season, with the winning teams taking a huge step towards Iberian glory. Aside from the excitement of the Iberian Championships, probably the most important game of the day will take place in the break between the men’s and women’s finals. 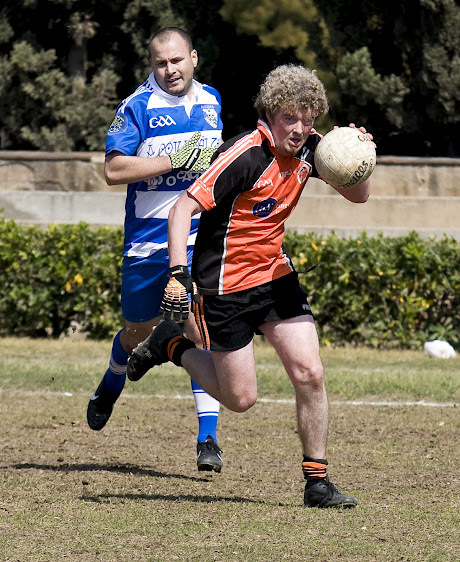 The newly-formed junior teams of Valencia and Madrid will take part in the first ever junior Gaelic football match to take place at an Iberian Championship round. It is a truly historic moment for the league and a large amount of credit must go to the two clubs, their coaches, parents and most importantly the young players who have worked so hard to get to this stage. *dependent on final positions following group games.